Rental Apartments and Housing For Rent in Toronto, Waterloo, Ottawa, London and More! The Renters Hotline! 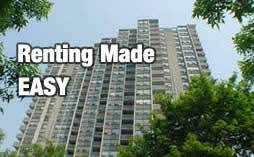 If you are in the search for rental housing needs you've come to the best site for Landlords and Renters. Renters Hotline has everything you need for a straightforward rental listing if you are a Landlord or rental property owner. There are also easy links that tenants and renters can use to find their next rental unit, rental apartment or rental house across Canada. Use our advanced search options to quickly find rental apartments and housing for rent in Toronto, Kitchener, Waterloo, Ottawa, London, and more! Whether you are looking for an apartment rental, a housing rental or a bachelor pad we can match your needs to the best available listings. Furthermore, our service is the most straightforward and efficient way for Landlords to market their rental listings for FREE. Without fail, RentersHotline.ca is the one and only site you will need to use for placing and finding rental apartment and housing listings! Renters Hotline is pleased to bring you another great FREE service - WantedForRent.com! Our new general topic forum for anyone wanting to post avaliable and wanted rental listings - as well as misc topics! RentersHotline.ca is a FREE service for both Property Owners and Renters!